Here is a running list of our personal favorite apps on iPhone, iPad, and Mac. These are the apps we, The Sweet Setup staff, use day in and day out for work and play. For future reference, this article can always be found in the sidebar under the Articles section. Why this list? We enjoy spending an inordinate amount of time to research, test, try, use and then pick the best apps. However, this is a slow process for us. And so, what to do in the meantime as we build out our catalog of app recommendations? Well, here are the apps that we use. The apps here aren’t guaranteed to all be the best, because sometimes you find an app you like and you stick with it without taking the time to research if there’s anything better. So sure, some of the apps here are like that for us. Others, however, probably are the best. For example, we’re confident that Editorial is the best Markdown Writing app for the iPad. Also, there are some apps we’ve listed here that overlap the same categories. For example: to-do list apps. Below we have Things and OmniFocus all mentioned. That’s because each of us happens to use one of them, and so the apps are all listed out with our individual reasons for why and how we use it. All that to say, here is a running list of The Sweet Setup’s staff favorites — broken down by platform and then by category. If you’ve got questions, suggestions, or whatever, you can find us on Twitter. LaunchBar — ($35): Like Alfred, LaunchBar is an application launcher, bookmark launcher, clipboard history app, and more. Since 2009, it has been a central way for how I (Shawn) use my Mac; I Command+Space for just about everything. The whole point of an application launcher (like Alfred or LaunchBar) is to quickly get to the files and apps you frequently access on your computer. You bring up the app using a keyboard shortcut, then type in the first few letters of the app, bookmark, or file that you want. The app will search your whole computer for the best results and list them out for you (usually so fast it’s happening as you type). As you use them, both Alfred and LaunchBar learn your most common searches and thus provide weighted results. These learned and weighted results are one of the premier features that make dedicated launching apps better than Spotlight for launching common apps and files. Alfred — (Free): Alfred is a true productivity powerhouse, extending far past what OS X’s Spotlight is capable of doing. It can search local files, the web, 1Password entries, emails, contacts, and more. With the $28 Power pack upgrade, Alfred can be used to build workflows, control iTunes, keep a clipboard history, and more. Keyboard Maestro — ($36): This utility app is a computer power user’s dream. With Keyboard Maestro you can apply global keyboard shortcuts that can then be used to trigger just about any sort of macro, action, or script that you want. I (Shawn) have a hotkey set to launch Mail upon a particular keystroke; I use it to help with bottom-posting replies in Mail; I use it to toggle the audio output on my Mac; I use it to open Safari URLs in Chrome. And that’s just the tip of the Keyboard Maestro iceberg. What also makes it great is that all these scripts and macros are based on a graphical user interface — you don’t have to do any actual coding to use it, you just have to know what problem you want a solution for. Pixelmator — ($30): This app has become a great alternative to Photoshop over the last seven years. With the release of an iPad app, now is a great time to go all in on this app. TextExpander — ($35): This utility app runs in the background on your Mac, and it expands snippets of text into sentences, words, dates, and whatever else you can imagine. It makes a great tool for quickly punching out common things you type on a regular basis, such as common email replies, email signatures, misspelled words, today’s date, etc. TextExpander also has an iOS app that syncs with the Mac version. With iOS 8 support for custom keyboards, you can use your snippets across any iOS app. Bartender — ($15): This is a great app for keeping your Mac’s Menu Bar organized. Bartender scoops up any and all of your Menu Bar icons and places them inside a “folder” to keep your Menu Bar tidy. Hazel — ($28): Hazel is a bit on the nerdy side, but it’s so profoundly useful that it’s worth having so you’ll discover and learn ways to use it. In short, Hazel is a utility application that runs in the background on your Mac that watches certain folders you specify and then does useful and clever actions to the files within those folders based on the workflows you set up. I know, it sounds intimidating and complicated, but once you’ve gotten a grasp on the basics of how Hazel works, you’ll be so glad to have it at your disposal. See here for a list of examples on how we use Hazel. Transmit — ($34): Transmit is a world-class FTP client and most certainly the best, most robust FTP app available for the Mac. If you deal with uploading and downloading files to web servers, Amazon, and/or WebDAV servers, then Transmit is your app. Not only is the app itself fast, reliable, and expertly designed, it has a cornucopia of features that make it easy and friendly to use. DaisyDisk — ($10): DaisyDisk is our favorite app for reclaiming hard drive space. The app scans your computer’s hard drive and presents you with a “map” of files and folders. It’s easy to click around on the graphical representation of your data and find files you don’t need that are taking up space. You can delete and remove things right from within DaisyDisk and reclaim extra space on your hard drive. I (Shawn) run this app about 3 or 4 times a month and always find things that I can clean out. Highly recommended, especially for those of us on Mac laptops with smallish SSDs. Backblaze — ($5/mo): For off-site backup of all my documents, music, photos, and other media I (Shawn) use BackBlaze. (Note: Backblaze has been a sponsor of The Sweet Setup, however I’ve been using their service for several years and pay for my off-site backup service out of my own pocket.) The Backblaze utility runs natively on your Mac and allows detailed control over the frequency and speeds at which your files are backed up. Your data is encrypted on your Mac before being sent to the Backblaze servers, and for those who want more security (like me), you can set your own private encryption key, making your data unreadable by anybody who doesn’t know the key. Arq — ($40): Arq is a Mac utility that creates encrypted backups of whatever files or folders you chose, and uploads them securely to a bucket on your Amazon S3 account or SFTP server. For those who want total control of their offsite backups and servers, Arq is the king of the hill. SuperDuper! — ($28): SuperDuper is a Mac app that does one thing well: it creates a bootable clone of your Mac’s hard drive. If you’re not backing up your computer using Time Machine and/or SuperDuper, it’s probably only a matter of time until data is lost. The advantage of using SuperDuper over Time Machine is that if your computer’s hard drive dies, you can simply plug in your backup and boot right from it. Droplr — ($5-$10/mo): A fast, fun, easy-to-use, link-, image-, text-, and file-sharing service. It also now supports annotations. Fantastical for Mac — ($20): The original Fantastical is the Mac version. It lives in your Mac’s Menu Bar, it’s quick and accessible, supports reminders, and has — ahem — fantastic natural language parsing. Billings Pro — (Free – $10/mo): Trying to manage income and expenses when you run your own business is a pain. Billings Pro is one of many solutions for keeping track of time, expenses, invoices, and much more. And when it’s tax time, run a few simple reports to detail the last year’s financial activity. Cloak — ($2-10/mo): For times when you’re on a less-than-trustworthy WiFi network, Cloak creates a more secure connection through a proxy. This means that would-be snoopers can’t (or will have a much more difficult time) see your incoming or outgoing network data. There are several data tiers to choose from so that you can find the right fit for your needs. We recently selected it as our favorite VPN service. Caffeine — (Free): Sure, you can change the sleep settings on your Mac to make sure it stays awake for a while, but that’s a bit out of the way. Caffeine is a small app that lives in the menu bar. When you click it, the computer stays awake until you turn it back off. You can also set a timer. I use this mostly when I’m doing a large backup that I don’t want to timeout before it finishes. CrashPlan — (Free – $10/mo): Computers fail, and that’s a fact. Backing up your data is a must, and CrashPlan has a great solution for backing up multiple computers and attached hard drives. It runs in the background and constantly updates your files, and you can even access your files from any browser. Evernote — (Free with optional premium upgrade): The venerable note-taking software keeps improving, with a powerful web clipper and smart in-app search. 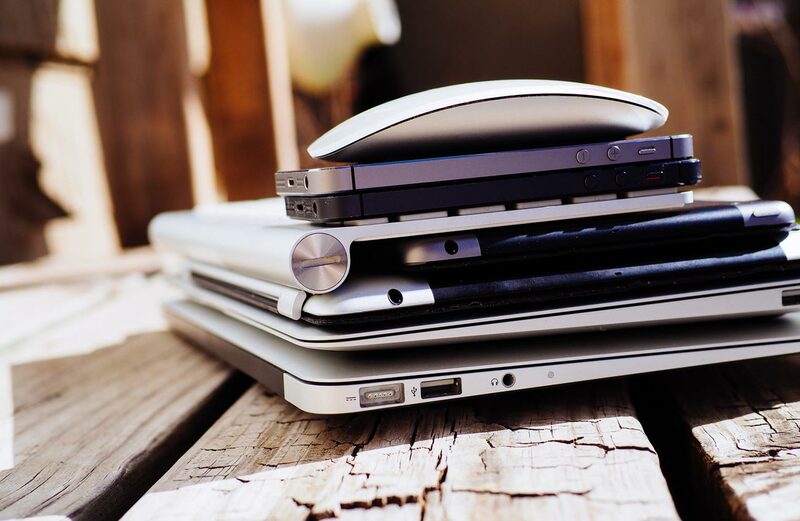 Storing bits of text, PDFs, images, and more has never been better on the Mac. 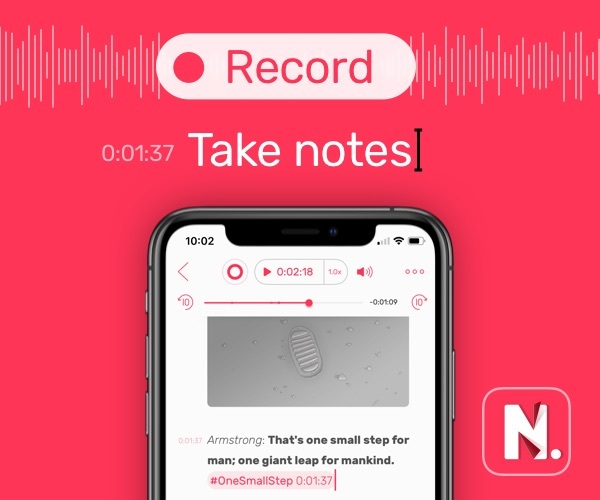 nvALT — (Free): This simple-yet-powerful note taking app is a great way to deal with lots and lots of notes and text files. And it syncs with the iPhone and iPad as well, either with Simplenote or any Dropbox-enabled text editors (such as Byword, Editorial, etc.). BusyCal — ($50): While OS X’s built-in calendar is fine, BusyCal is the desktop calendar app for power users. While its price tag may seem steep, its excellent support for iCloud, Exchange, Google Calendar, and other CalDAV servers makes it a life-saver if you deal with a lot of events. OmniFocus 2 for Mac — ($40): Many of the task-management apps available today offer, more or less, the same fundamental functionality: the ability to add tasks, organize them by project, and assign a due date. Of the five areas of Getting Things Done — capturing, processing, organizing, acting, and reviewing — you want the least amount of friction. OmniFocus doesn’t just help you capture, process, organize, and review, but once you’ve captured and processed an idea, OmniFocus almost does the rest of the work for you. And this is why OmniFocus is different — it was built from the inside out. It may not win any beauty contests, but in my experience, compared to other to-do apps, OmniFocus handles your projects better than any other tool I’ve used. 1Password for Mac — ($50): 1Password for Mac can create and store multiple unique passwords for all the websites you log in to. And then, with the click of a button or the tap of a hotkey, you can login to those sites in a snap. But thats just the tip of the iceberg. 1Password also stores secure notes, bank account information, and pretty much anything else you can think of. And then all those passwords and notes sync to the iPhone and iPad apps. Transloader — ($5): Transloader works with a companion iOS app to allow you to save files to your Mac from iOS. Lightroom — ($9.99/mo with Creative Cloud Photography): Our recent pick as the best photo editing app for Mac, Lightroom gives you the power to organize and edit your digital photos. This app is essential for budding, hobbyist, and experienced photographers alike. Byword for Mac — ($10): Byword on the Mac is one of the three apps in my (Shawn’s) writing workflow toolkit, working alongside the aforementioned nvALT and MarsEdit. It is my go-to writing app for anything longer than a few sentences. The app has a simple and clean design and it highlights Markdown syntax. What more do you want? It was also selected as our favorite Markdown writing app for the Mac. Coda — ($75): Coda 2 is an incredibly feature-rich text editor and FTP client. The challenge when making an app like Coda is to design and present all the functionality in such a way that it is the user who discovers and then defines how simple or complex they want the application to be. There are so many options, features, and functions within Coda that it seems there is nothing it cannot do. But even for the amateur programmers, Coda never feels overwhelming or overbearing. It expands or contracts to the needs of its user. MarsEdit — ($40): MarsEdit is a rock solid piece of software. It is one of the most-used, most-important, and most-beloved applications I (Shawn) own. If you have a blog on WordPress, Blogger, Tumblr, TypePad, or Movable Type, you should probably be using MarsEdit. Because writing in the browser is generally a very bad idea. Spotify — (Free – $10/mo): There are several music streaming services available, which we discussed in our review of the best app, and Spotify is our favorite because it has great features, an expansive catalog, and the social user base to back it up. Plex — (Free): iTunes allows you to organize and host your movie and music collection for other devices to share, but I’ve always found it a bit frustrating to maintain. With Plex, it’s as simple as dropping new media into a folder. Like magic, it appears in the Plex library for everyone to view. Unlike iTunes, Plex runs in the menu bar of your Mac. Plex also allows you to access your media away from your home network. Day One — ($10): By far and away, Day One is the best journaling and logging app for the Mac and iOS. The whole suite has a clever and rich feature set that lets you integrate photos, current location, weather data, and more into your journal entries. You can read all about Day One in our in-depth review. Dropbox — ($0 – $10/mo): Dropbox is most known for its ability to sync documents and folders between multiple computers and iOS devices. In fact, it is one of the most well-known and most reliable cloud syncing services there is. You can use Dropbox for free and get 2GB worth of document storage and syncing. I highly recommend signing up for at least a free account. While 2GB isn’t a huge amount of storage, it’s plenty big enough for syncing notes, basic documents, and other things. For $99/year, you can get 1 TB of storage. Tweetbot for Mac — ($20): Judging Twitter clients is trying to hit a moving target. But Tweetbot is our favorite because of its awesome feature set and delightful design. iBank — ($60): This is the banking software I (Shawn) have been using for the past 18 months to manage and categorize all my business transactions. It has a very smart and easy-to-use interface, offers powerful and easy reporting, and was a godsend come tax season. Other popular banking apps I know of include MoneyWell and YNAB. It was recently selected as our favorite app for managing personal finances and budgets. Simplenote — (Free): My thoughts on Simplenote always start along the lines of how it’s the app I’d chose if I had to pick just one app only for use on all my iOS devices. For me, hands down the most important “workflow thing” is to have text in sync between my iPhone, my iPad, and my Mac. There are a lot of apps which do this well, but for my needs, Simplenote is the best. When it comes to my writing workflow, I’ve basically got two buckets for all my text. First there is my bucket of ideas, lists, thoughts, and all sorts of other miscellany. And second is my bucket of current articles I’m working on. The former is what I use Simplenote for; the latter is a Dropbox folder filled with markdown files. What makes Simplenote my favorite here is its search functionality. Simplenote has amazing and fast search. Searching for a note searches both the note’s title and the contents within. Then, tapping on a search result from the list takes you to the search results within that note where you can then see all instances of that term within the note’s contents. Fantastical for iPhone — ($5): We spent months testing, trying, and using many different great calendar apps for the iPhone, and Fantastical is the best. Natural language entry for creating new events is the easiest way to go about it, and Fantastical has the best natural language engine. Not to mention Fantastical has several excellent design layouts (day ticker with list view, month view with list view, and landscape mode’s week view) as well as reminders support. 1Password — (Free with IAP): I sometimes like to refer to my iPhone as “Command Central”. It’s great for a lot of things, and then okay at a lot of other things. And while it may not be the best device for some tasks, I can still do pretty much anything from the iPhone if and when I need to. And since I have my iPhone within arm’s reach pretty much 24/7, it makes sense that I should be able to access critical information when I need to. And that’s why 1Password is so great. 1Password on iOS is far more than just a password reader. If that’s all it was, then the updates to iCloud keychain sync would have negated the need for 1Password. However, 1Password also stores secure notes, bank information, and pretty much anything else I can think of. With a great sharing extension, iPassword can be extended to Safari for easy logins. TextExpander Touch — ($5): With iOS 8 allowing custom keyboards, it’s now possible to use your TextExpander snippets in every iOS app. PCalc — ($10): PCalc is one fine calculator app. I’m not an engineer or an amateur calculator nerd, but I use it because it looks great and is fast. It also recently added a great iOS 8 Today view widget. Mileage Log — ($10): For years I used Trip Cubby to track all my business, medical, and charity-related driving. That app was recently retired and out of the ashes arose Mileage Log. I haven’t used any other mileage tracker so I don’t know how this one compares to the others, but I do know that Mileage Log is awesome and it complies with the IRS’s regulations for tracking miles driven for tax purposes. I’ve used the app to log 62 trips so far this year for more than 1,300 miles. Scanbot — ($1.99): I (Shawn) use this to take photos of business-related receipts for tax purposes. Scanbot names them with the date and uploads them to Dropbox. Then I have a Hazel rule that moves those images to my receipts folder and I throw away the physical receipt. It’s faster than scanning them all in at once (especially since receipts are good at getting all wrinkled up in my pocket), and it’s a great way to keep track of receipts when traveling. There is also an optional $4.99 IAP to add themes, custom naming, and OCR support. It was also recently selected as our favorite scanning app on iOS. OmniFocus for iPhone — ($20): I’ve been using the OmniFocus suite of apps (Mac, iPhone, and iPad) since 2010. Of the three apps, I find the iPad version to be the best. In fact, I consider OmniFocus on the iPad as a quintessential example of times when an iPad app is superior to its Mac counterpart. 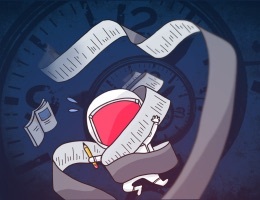 However, lately I have been wondering if OmniFocus is now too complex for me as I’ve settled into a groove with my work-from-home schedule and routine. But, as I’ve considered other alternatives, I just can’t conceive of quitting OmniFocus — it’s a task management system that I trust. I know that if and when an important task becomes due, OmniFocus will show it to me. And though OmniFocus contains practical friction to keep it useful, it costs me zero mental friction — I trust it, I know how it works, and I know how to use it. It may take me a whole minute to enter a new task using the iPhone version, but I am never in doubt that my OmniFocus list is incomplete or that I am forgetting about something. AnyList — (Free – $8/yr – $12/yr): AnyList isn’t a GTD focused list manager, but it’s a fantastic shopping list app that provides lightning fast syncing and shared list support. My wife and I use this app to build our grocery list during the week, which means we forget fewer items than we did when we hand wrote the list every week. AnyList also lets you create list templates, which is useful for starting off your weekly grocery list with items you buy every week. Drafts — ($10): Greg Pierce, developer of Drafts, describes it as “where text on iOS starts,” and he’s right. Basically every email, note, article draft, or idea I (Jeff) want to write down starts in Drafts. From there, I can send the text to whatever app I want to continue with. The custom workflows and powerful sharing options provide so many useful ways to use your plain text. With a recent update to version 4, now is a great time to grab this app. Pushpin for Pinboard — ($10): As we recently wrote, Pushpin is the best overall Pinboard client for iOS. It’s loaded with awesome features and it looks great. Evernote — (Free): On the go, Evernote is great for referencing information, but it really shines while creating new notes from photos. With built-in modes for taking photos of Post-It notes, documents and even business cards, capturing data (and running OCR on it) is super quick. Slack — (Free to $12.50/mo per user): Slack is the tool of choice for The Sweet Setup and [Tools & Toys] (http://toolsandtoys.net) staff. We’ve created separate channels for Tools & Toys discussion and The Sweet Setup discussions. This allows us to keep discussions for each website separated and easier to track. VSCO Cam — (Free): Easily the best photo editing app on iOS. In fact, it’s the only one I use anymore. I’ve purchased every single filter available within the app, so I have a large arsenal of editing tools to work with. Hueless — ($2): If you intend to shoot black-and-white photos, it’s better to use Hueless than to post-process a color photo. Hueless isn’t applying filters to your shots, it legitimately shoots in monochrome and the photos come out sharp. Squarespace Blog — (Free): I (Chris) don’t often use my iPhone to publish to my site, but when I do, the Squarespace Blog app sure comes in handy. I can use it to create link-posts and edit past articles just as easily as if I were using my iPad. Snapseed — (Free): VSCO Cam was recently picked as the best photo editor for iPhone, but Snapseed is a solid contender as well. The interface is a bit quirky, but the level of control is fantastic for people who like to perfect the look and feel of their photos on their phone. Dropvox — ($2): This is the app I use to record Shawn Today episodes whenever I’m away from my Mac. And, so far as I know, there are no other apps that take a voice recording and pipe it to Dropbox. Byword — ($5): Byword is my (Shawn) next favorite text app on the iPhone second to Simplenote. Simplenote is for my ideas and other miscellaneous text-in-flux, and Byword is for any article I’m currently working on. If I want to edit, add to, or create a new one from my iPhone, then I use Byword to access my “Currently Writing” folder. Byword has some awesome features that I wish Simplenote did — namely, fantastic Markdown support and a dark theme. Byword’s search functionality is also fantastic — better than any other app I know of, save Simplenote. Byword would make a great app for all my “little notes”, but it doesn’t (yet?) show search results for terms within the note’s content (though it does search a note’s content when searching at the list level). For more about why Byword is awesome, read our review where we crown it the best Markdown Writing App on the iPhone. Day One — ($5): This is certainly the best journaling app out there. I (Shawn) keep Day One on my iPhone’s Home screen and write in it often. I have no rules for how I use Day One, nor for how often I use it. My entries are all sorts of things, including photos, one-line milestone mentions about my kids, deep thoughts, brain dumps of ideas, and more. Pocket Casts — ($4): There are a lot of iPhone podcast clients in the App Store, but we believe Pocket Casts stands above the rest. In addition to a beautiful, iOS 7-friendly design, the app is great to use with customizable playlists and built-in search of an ever-growing podcast directory. They have recently released a web edition of the player. It’s $9 after a 14 day free trial. Overcast — (Free with IAP): Overcast is another podcast favorite with the staff. It developed and maintained by Marco Arment. With unique audio features like voice boost and smart speed, it’s a great choice. Unread — ($3): It was the design of Unread that hooked me (Shawn) right away — the app is clean, friendly, and warm, and all its type is set in Whitney (the same typeface we use here on TSS) — but the more I used it, the more I began to appreciate and enjoy the functionality and feature decisions built into the app. Unread is refreshingly simple and elegant. If you subscribe to RSS feeds and read them on your iPhone, take some time and use Unread for a while — I think you’ll be glad you did. Reeder — ($5, universal): There’s no shortage of RSS apps available for the iPad, but we really enjoy using Reeder to run through our feeds. There are plenty of sharing options for sending articles to Pinboard, Pocket, Instapaper, and many more. The reading environment is pleasant and the swipe gestures are really intuitive. Reeder has support for most of the top RSS services, like Feedbin, Feed Wrangler, Feedly, and Fever. CameraSync — ($3): If Photo Stream isn’t your thing, CameraSync is a life-saver. The app takes images from your Camera Roll and uploads them to Dropbox, SkyDrive, Flickr account, WebDAV Server, FTP server, Amazon S3 bucket, or Box.net. With iOS 7, it can even do this in the background. Sleep Cycle — ($1): There are a lot of alarm apps available in the App Store today, but Sleep Cycle goes a step further and tracks the quality of your sleep. Sleep Cycle runs during the night and tracks your movement, which means your phone needs to stay under your pillow. Aside from that one annoyance, it actually provides interesting data that can help you understand why you feel unrested in the morning. Chicago Avenue Moon — ($2): This app is so cool. It generates a personalized soundtrack for you based on your location, the current date/time, and even the phase of the moon. The music is quite pleasant, and often reminds me (Chris) of the Journey game soundtrack. The perfect app to listen to while writing or going for a nighttime stroll. Thunderspace — ($5): There’s white noise, and then there’s Thunderspace. Thunderspace lets you listen to stellar recordings of thunderstorms, rain, and wind for as long as you want. You can also enable an option for the app to use your iPhone flash to coordinate with the thunderclaps to create a surreal experience of being in the middle of a calming thunderstorm. This app is great for falling asleep or creating a focused work zone when it’s time to concentrate. Cloak — ($2-10/mo): For times when you’re on a less-than-trustworthy WiFi network, Cloak creates a more secure connection through a proxy. This means that would-be snoopers can’t (or will have a much more difficult time) see your incoming or outgoing network data. There are several data tiers to choose from so that you can find the right fit for your needs. Paprika for iPhone — ($5): I (Shawn) don’t have a lot of recipes, but the ones I do have are delicious. Paprika is great, and having a 3-app suite across the Mac, iPhone, and iPad has proven to be quite helpful. Deliveries — ($5): This is a swell app that keeps track of packages and deliveries I’m expecting. There is also a great Mac app that will sync with iCloud or a sync account from the developer. Plus, you can forward your emails to it, and link it to your Amazon account and it’ll find tracking info automatically. Tweetbot — ($5): My go-to Twitter app, and arguably the best Twitter client on the iPhone. I’m a huge fan of the big update Tweetbot received a while back and look forward to that update influencing the iPad and Mac versions as well. Check the Weather — ($1): This is our favorite weather app. It’s very easy to read, and I like that it has a radar and Dark Sky’s short-term precipitation forecast. Posing App — ($3): In the portrait photography business, learning how to pose subjects in interesting ways can be difficult to pick up. The Posing app provides dozens of sketches that give you great ideas for posing people in different types of situations, such as groups, families, children, weddings, couples, and more. Dropbox — (0 – $10/mo): This app/service could go without saying, but yet, at the same time, it’s worth mentioning because Dropbox is such a critical back-end component to so many of the apps I use. I use Dropbox to sync my 1Password database between my iPhone, iPad, and Mac. I use it to keep all my “Currently Writing” articles available to me on all my devices. I use it to sync Day One and my TextExpander snippets. Moreover, since all my current projects have folders in Dropbox on my Mac, I can access those files at any time via the Dropbox app on my iPhone. OmniFocus for iPad — ($40): I’ve been using the OmniFocus suite of apps (Mac, iPhone, and iPad) since 2010. Of the three apps, I find the iPad version to be the best. In fact, I consider OmniFocus on the iPad as a quintessential example of times when an iPad app is superior to its Mac counterpart. However, lately I have been wondering if OmniFocus is now too complex for me as I’ve settled into a grove with my work-from-home schedule and routine. But, as I’ve considered other alternatives, I just can’t conceive of quitting OmniFocus — it’s a task management system that I trust. I know that if and when an important task becomes due, OmniFocus will show it to me. And though OmniFocus contains much practical friction to keep it useful, it costs me zero mental friction — I trust it, I know how it works, and I know how to use it. It may take me a whole minute to enter a new task using the iPhone version, but I am never in doubt that my OmniFocus list is incomplete or that I am forgetting about something. With a fresh design for iOS 8, support for a Today view widget, and a sharing extension, it’s a great time to purchase. 1Password — (Free with IAP): 1Password is far more than just a password manager. If that’s all it was then the updates to iCloud keychain sync would have negated the need for 1Password. However, 1Password also stores secure notes, bank information, and pretty much anything else I can think of. Though I use 1Password most often from my iPhone or Mac, I couldn’t imagine not having it on my iPad. With support for iOS 8 extensions, this app is a no brainer. Instapaper — (Free with IAP): Years later, Instapaper continues to be my go-to Read Later app. I love the design and I’ve got an IFTTT recipe that takes all of my Instapaper “liked” articles and drops them into Pinboard for me. I used to use the iPad version almost exclusively. But since having kids I now use the iPhone version almost as much as the iPad version. There are often times I’ve got just one hand free and it’s a great time to catch up on some reading. But still, my preferred way to read in Instapaper is on the couch with the Retina iPad mini. TextExpander Touch — ($5): Thanks to custom keyboards in iOS 8, we can now have TextExpander across any iOS app. Simplenote — (Free): Speaking of writing, for me, hands down the most important “workflow thing” is to have text in sync between my iPhone, my iPad, and my Mac. There are a lot of apps which do this well, but for my needs, Simplenote is the best. AnyList — (Free – $8/yr – $12/yr): AnyList isn’t a GTD focused list manager, but it’s a fantastic shopping list app that provides lightning fast syncing and shared list support. My wife and I use this app to build our grocery list during the week, which means we forget fewer items than we did when we hand wrote the list every week. Mr. Reader — ($4): It may not be the most popular RSS reader for the iPad, but Mr. Reader is certainly the most powerful. It packs support for Feedly, s Reader, Feedbin, FeedHQ, Feed Wrangler, Fever, InoReader, Aol Reader, and SubReader. Bookmarklets can be fired related to an individual URL, there are many custom actions you can assign and create to get Mr. Reader to send articles to different apps within iOS, and the UI is customizable with easy in-app settings. Pushpin for Pinboard — ($10): As I recently wrote, Pushpin is the best overall Pinboard client for iOS. It’s loaded with awesome features and the iOS 7 redesign looks great. Launch Center Pro for iPad — ($8): Like the iPhone version, LCP for iPad is an awesome way to automate everyday tasks. It can do so many cool things between various iOS apps that I can hardly list them all here. One example I can give though is this Day One action that pings me every morning to fill out a pre-made questionnaire that asks me about the previous night’s sleep, my goals for the day, and any additional thoughts I have at that moment, then creates a new Day One journal entry out of my answers. Droplr — ($5-10/mo): A fast, fun, easy-to-use, link-, image-, text-, and file-sharing service. Reduce — ($2): If I need one or more images resized quickly, I use Reduce. It lets you create presets for various image ratios and file sizes, and resizing a bunch of images typically takes only a few seconds to complete. Cloak — ($2-15/mo): For times when you’re on a less-than-trustworthy WiFi network, Cloak creates a more secure connection through a proxy. This means that would-be snoopers can’t (or will have a much more difficult time) see your incoming or outgoing network data. There are several data tiers to choose from so that you can find the right fit for your needs. Squarespace Blog — (Free): All of my writing and publishing is done from an iPad, so I spend a lot of time in the Squarespace Blog app. It lets me easily publish new articles, create link-posts, and edit articles later if needed. I don’t actually write much in the app though—I typically do my writing in Editorial and copy the Markdown text (or HTML, in some cases) into Squarespace Blog before publishing. Diet Coda — ($20): The iPad has a few apps that just kind of blow your mind when you realize just how powerful and awesome they are, apps that are textbook examples of why the iPad is thriving as a personal computer. And Diet Coda is such an app. With Diet Coda I (Shawn) connect to my site, navigate to the file I want, edit that file, and then save my changes to the server. I don’t have to juggle both a remote and local version of the file — I just open it, edit it, and save it. This is how Coda 1 worked, it’s how Coda 2 works, and it’s how Diet Coda works. It makes working in Diet Coda feel comfortable and secure. Editorial — ($7): The app that changed everything for me when it comes to long-form writing on my iPad. I have used many writing apps on my iPad over the years (the original built-in notes app with it’s ruled pages and Marker Felt, to Pages, to iA Writer, Byword, Writing Kit, Editorial, and more). Editorial has taken writing on the iPad to a whole new level. If you just write words and don’t do a lot of writing for the web, you may not geek out over Editorial like myself and so many others have been (in which case I’d recommend Writer Pro or Byword). What I love about Editorial is its ability to define and install custom scripts and workflows (making it easy to insert links, find apps in the app store, etc…), as well as its built-in browser. Editorial has a very nice and clean design, and it is easy to use. Since the vast majority of the writing I do is for the Web, and I write exclusively in Markdown, Editorial makes all of the little things I need from a text editor easier and more efficient. Byword — ($5): Byword is the best Markdown writing app on the iPhone, and the iPad version is splendid as well. There is a lot to like about Byword — it’s fast, it has excellent search, it’s gorgeous, it’s powerful. Drafts 4 — ($10): If you consider yourself an “iPad-toting power user” in any level at all, then you probably want a quick-capture text app. With a recent update to version 4, Draft is a must have. VSCO Cam — (Free): With a recent universal update, VSCO Cam has now come to the iPad. With great filters and tools, you’ll love editing your photos on the larger iPad screen. iA Writer — ($5): Byword is my favorite text editor for writing, but I really enjoy using iA Writer for editing. Like most modern text editors, it has a special formatting row above the keyboard that make it simple to move between individual characters. The lack of any customization also cuts down on fiddling time. What I love most about iA Writer is the ability to send a text file as an attachment in an email. I haven’t encountered any other iOS text editors that do this. Day One — ($5): This is the best journaling app out there. I keep Day One on my iPad’s Home screen even though I mostly write in it from my iPhone or Mac. I have no rules for how I use Day One, nor for how often I use it. My entries are all sorts of things, including photos, one-line milestone mentions about my kids, deep thoughts, brain dumps of ideas, and more. Marvel Unlimited — ($10/mo): I’m not nearly the comic nerd I was in my early teenage years, but I do still enjoy reading comics some evenings. I have a subscription to Marvel Unlimited, which, if you’re not familiar with the app, is a bit like Netflix for Marvel comic books. There are a lot of comics available through the app, and you can read any of them you like. There are a few drawbacks to the Marvel Unlimited app such as a pretty horrible process for reading more than one comic in a row (after each issue you have to exit back to your library, select the next comic, then chose to read it); no ability to save a whole story arc into your library (you have to save each comic issue one at a time); and the fact that most issues don’t show up in the app until they are about one year old. However, the good (the huge selection) far outweighs the bad. For someone who enjoys comics enough to read a dozen issues or more in a month, but isn’t serious that it’s important to own every issue, then Marvel Unlimited is a great thing. Kingdom Rush HD — ($1): There are a few games I’ve played on the iPad that I’ve really enjoyed. But none so much as Kingdom Rush and Kingdom Rush Frontiers. Paprika for iPad — ($5): I (Shawn) migrated all my recipes out of Simplenote and into Paprika. I don’t have a lot of recipes, but the ones I do have are delicious and it makes a lot more sense to keep them in a nice recipe app. Paprika is great, and having a 3-app suite across the Mac, iPhone, and iPad has proven to be quite helpful. Basil: Smart Recipe Manager — ($3): I (Chris) used to keep recipes saved in Evernote, but Basil is built to manage those kinds of things. It can automatically pull entire recipes (serving sizes, cooking times, and all) from all sorts of big-name food blogs, and displays them nicely. Spotify — (0 – $10/mo): There are several music streaming services available, which Tyler discussed in his review of the best app. Spotify is our favorite music streaming service because it has great features, an expansive catalog, and the social user base to back it up. N.Y. Zombies — ($1, universal): When it’s time to take a break and kill some zombies, NY Zombies does the trick. This is a basic first-person shooter that puts you in the middle of a post-apocalyptic New York from which you have to escape. Mow down the zombies and upgrade your weapons to get out of the city in one piece. Star Command — ($3, universal): For a more immersive game experience, Star Command is a fun and well-designed app that mimics the Star Trek aesthetic. Your job is to take on missions, manage a multi-talented crew, and fight off hostile invasions. This is an enjoyable game that is best played with your feet kicked up in a relaxed manner. Amazon Kindle App — (Free): Nearly all eBooks I purchase are from the Amazon Kindle store. I don’t own a Kindle, but I do use the iOS app all the time. Reading books, highlighting passages, and syncing between devices all work very well. iBooks — (Free): Sometimes there are books that really work best in iBooks form — for example, the [MacSparky Field Guide series](http://macsparky.com/field guides/), which have lots of built-in multimedia features. So I buy those from the iBooks Store rather than from Amazon. Plex — ($5, universal): While Plex for Mac is mostly just a host for local media, Plex for iOS is a great for viewing that media from the comfort of your couch or favorite chair. The app is quick and has all the expected features of any video playing app. Hulu Plus — (0 – $8/mo): We keep a Hulu Plus subscription active in our house to keep up with our favorite shows. For those times when we’re unable to watch shows through the Apple TV, the iPad app is a great substitute. Apart from watching shows and movies, it’s an excellent way to manage your queue and discover new things. Tweetbot — ($3): Even though it hasn’t been updated for iOS 7, Tweetbot for iPad is a delightful and efficient Twitter client. John Moltz recently named Tweetbot as the best Twitter app for iOS, and it’s for good reason. Tweetbot makes it easy for managing multiple accounts, checking mentions and direct messages, and muting certain keywords or users from your timeline. Dropbox — (0 – $10/mo): This app/service could go without saying, but yet, at the same time, it’s worth mentioning because Dropbox is such a critical back-end component to so many of the apps I use. I use Dropbox to sync my 1Password database between my iPhone, iPad, and Mac. I use it to keep all my “Currently Writing” articles available to me on all my devices. I use it sync Day One, and my TextExpander snippets. Moreover, since all my current projects have folders in Dropbox on my Mac, I can access those files at any time via the Dropbox app on my iPhone.